MACEDONIAN KINGDOM. Alexander III, the Great. 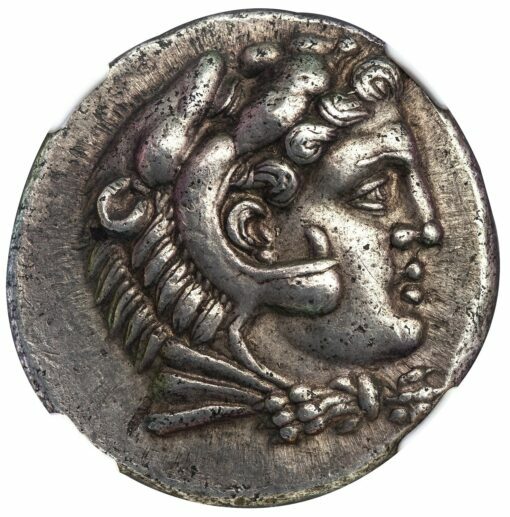 336–323 BC. 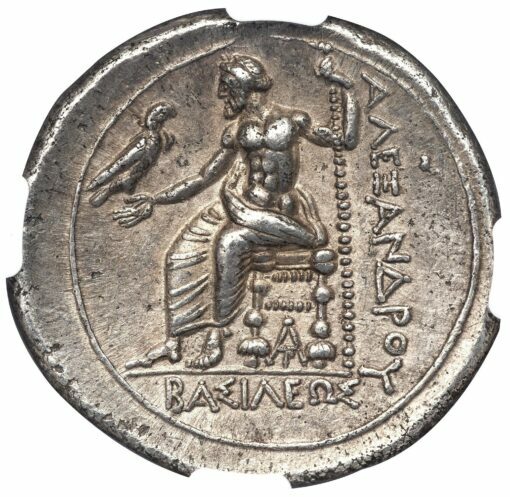 Silver tetradrachm, 17.13 g., 29 mm., lifetime/early posthumous issue minted a Aradus in Phoenicia, ca. 328-320 BC. Obv. Head of young Herakles right in lion skin headdress. Rev. ΒΑΣΙΛΕΩΣ ΑΛΕΞΑΝΔΡΟΥ, Zeus enthroned left, holding eagle and scepter, AP monogram below throne. 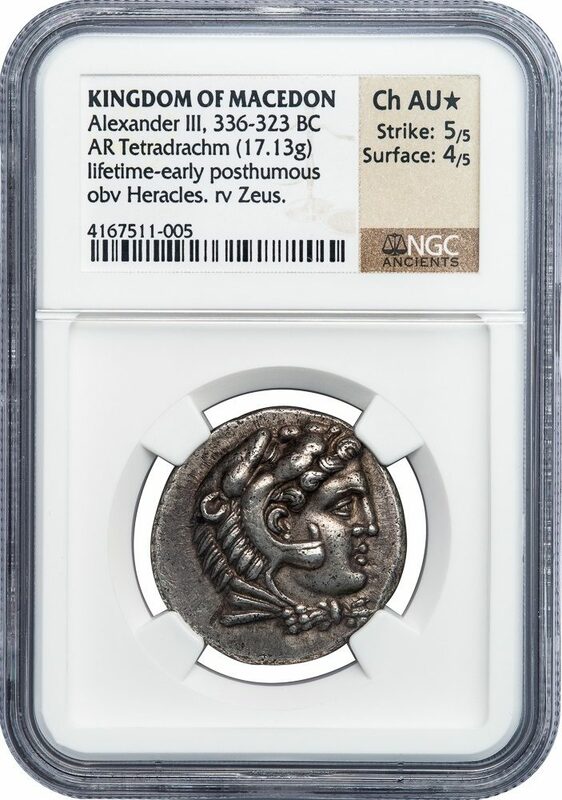 NGC graded as CHOICE AU STAR, Strike 5/5, Surface 4/5, exceptionally centered with great eye appeal.